Every Best Picture Nominee Ever. 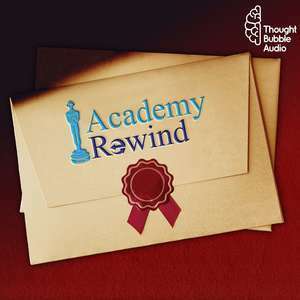 We found 5 episodes of Academy Rewind with the tag “best picture”. With a BRAVEHEART, Tim & Palmer go aboard APOLLO 13 with Babe (who's not in the city) to knock some SENSE & SENSIBILITY into Il Postino: The Postman. Spoiler: It doesn't go well. On the way to MUNICH to wish CAPOTE a GOOD NIGHT AND GOOD LUCK, Palmer & Tim CRASH into BROKEBACK MOUNTAIN. Hijinks ensue. Tim & Palmer take a break from their normal episodes to recap the 2019 Academy Awards! *These are the opinions of two hosts and guest of ACADEMY REWIND and do not reflect the opinions of THOUGHT BUBBLE AUDIO. Tim & Palmer talk the Best Picture nominations of 1957! Around the World in 80 Days, The Ten Commandments, Friendly Persuasion, The King and I, and Giant!